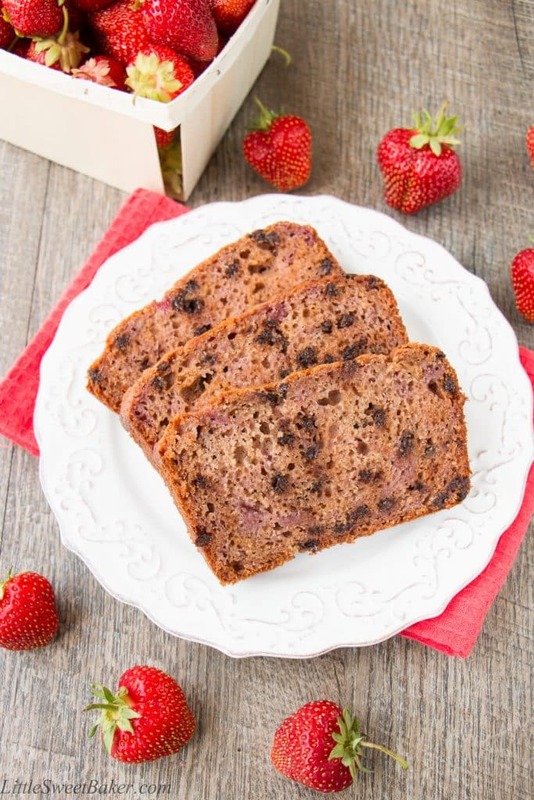 This is a delicious quick bread that is bursting with strawberry flavor and studded with chocolate chips. 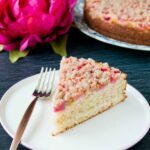 This recipe is made with a simple fresh strawberry preserve which gives it a soft, delicate texture and fabulous strawberry taste in every bite! 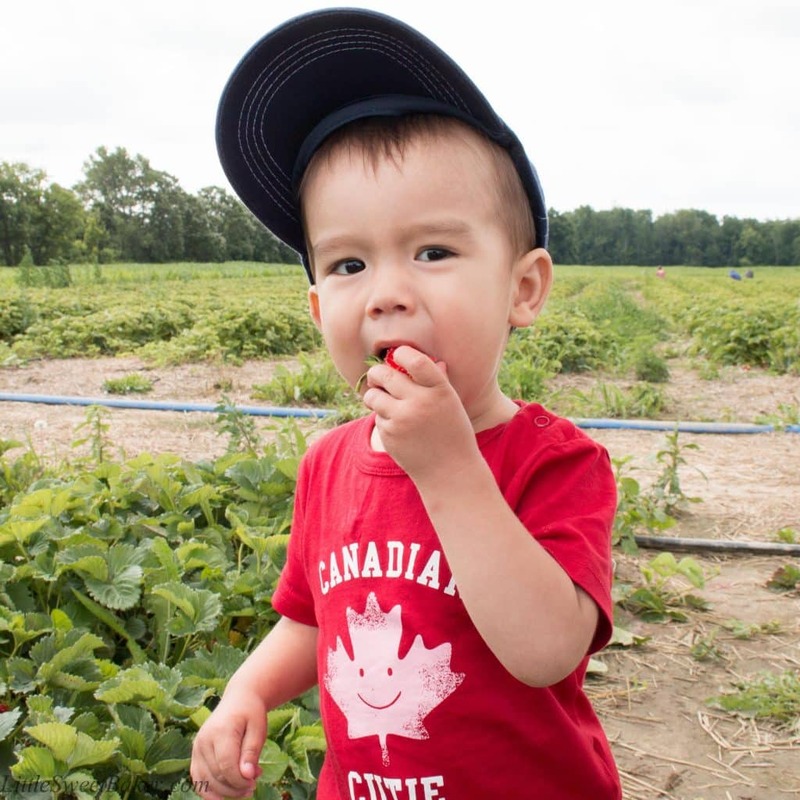 This past Wednesday was Canada Day and for some family fun, we decided to go strawberry picking. 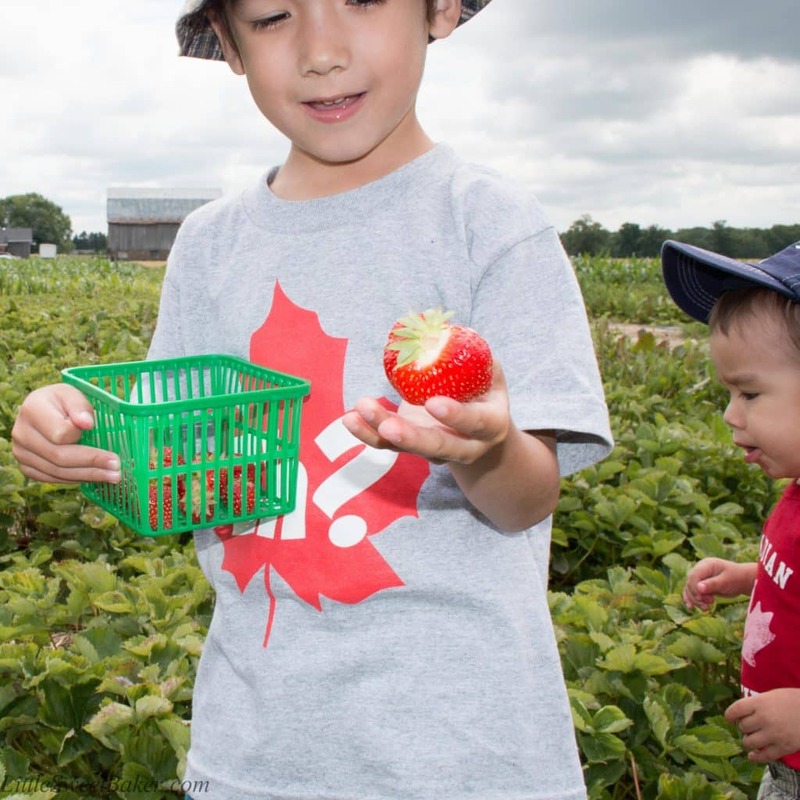 Nothing beats fresh local Ontario strawberries, am I right? This was a first for my boys. My 4-year-old was very hard at work, picking all the fresh red berries he could, while my little one was more interested in eating all the strawberries straight from the baskets. Ethan was very proud that he found the biggest berry in the patch and my baby Charlie was covered in juice and smelled like sweet strawberries for the rest of the day. I loved it. It was definitely good times. My original intention was to make a strawberry sauce to use for a cheesecake or ice cream topping. Though as I was making the sauce, I noticed it had the consistency of mashed bananas, so I thought to myself “I wonder what this would be like baked into a bread?” It was one of those impromptu moments and it became the best thing I have ever made. I took the concept of a banana bread, substituted the mashed bananas with the strawberry preserve, added some chocolate chips for fun, and voila! 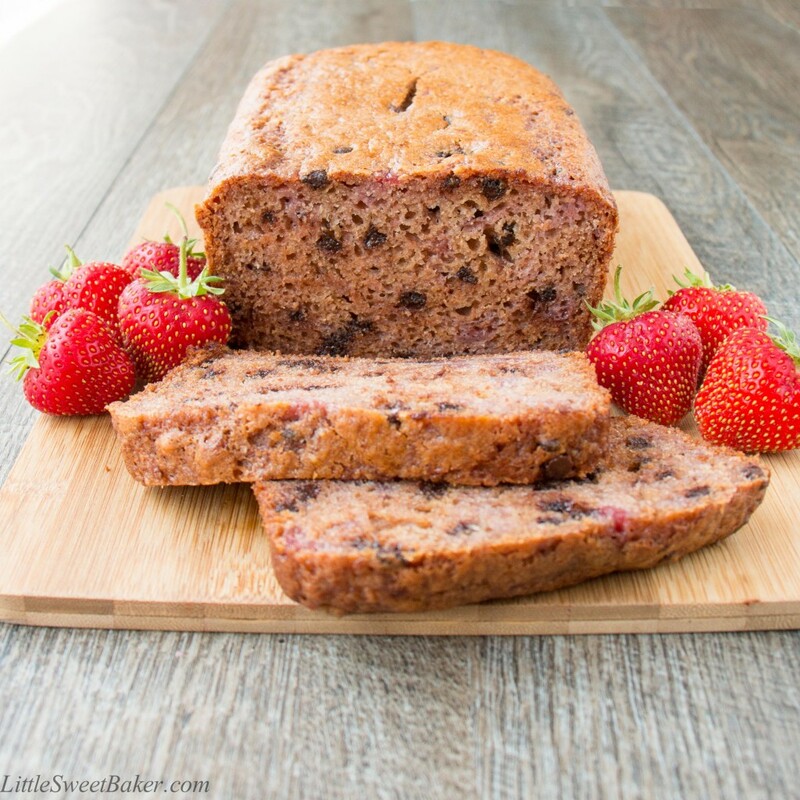 A super moist and super flavorful strawberry bread was created. It has become a huge hit and is constantly requested. The recipe starts with a simple preserve and when I say simple, I mean just fruit and sugar cooked together until thickened. It doesn’t get any easier than that. 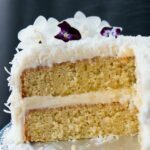 Though this recipe does require a little bit of patience, it is well worth it. You begin with a pound of strawberries, mash it with 1/2 cup of sugar, simmer until it thickens and it reduces to about 1 & 1/4 to 1 & 1/2 cups. 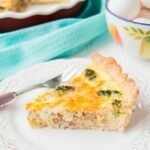 A little bit of variance is okay with this recipe. It’s like in most banana bread recipes when it states 3 bananas – well that could vary from 1 to 1 & 1/2 cups depending on the size of your bananas. Now, I have made this quite a few times and it yielded exactly 1 & 1/2 cups each time. 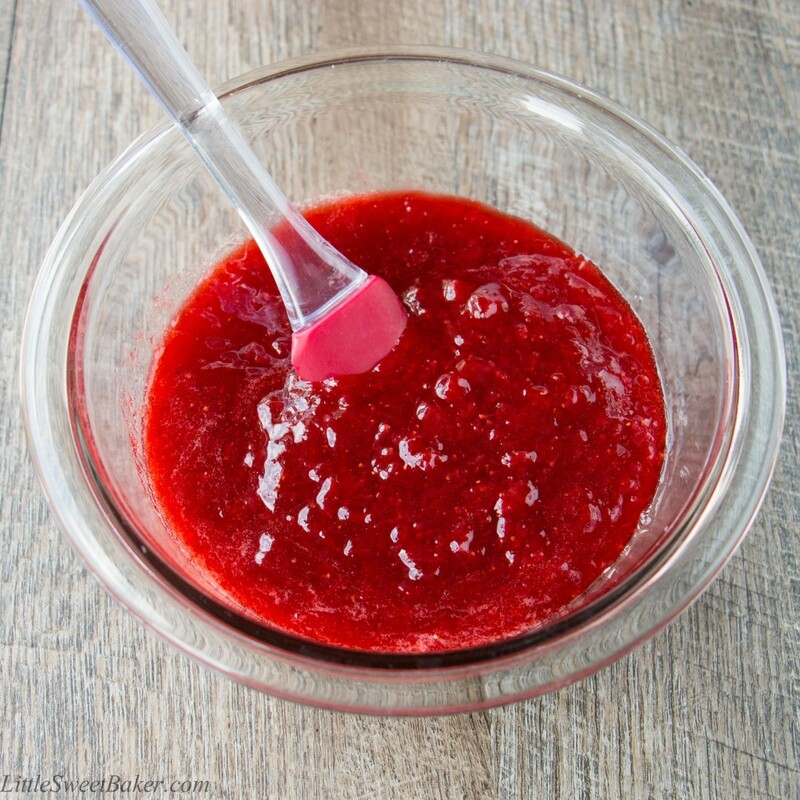 Once the strawberry reduction sauce is done, let it cool to room temperature and mix it in with your wet ingredients, again like you would in a banana bread recipe. 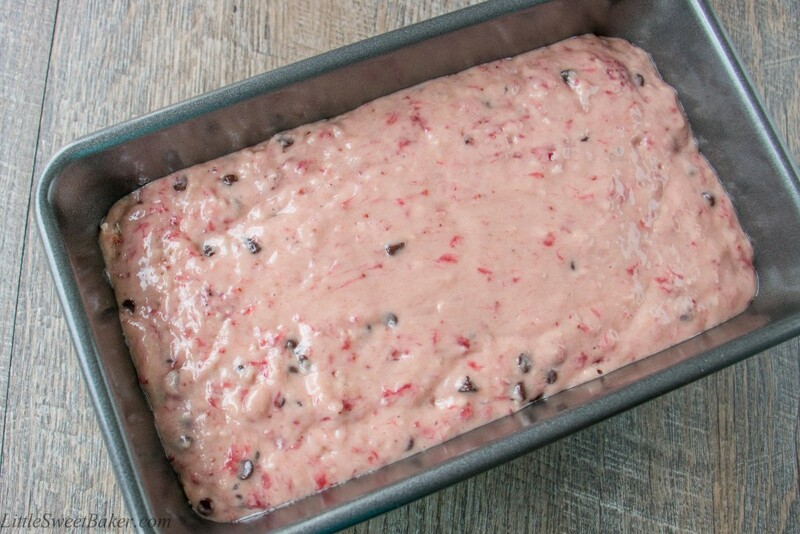 The batter will be a pretty pink color, dotted with mini chocolate chips and bits of bright red strawberry pieces. Place it in the oven and bake for about 1 hour. And if you want to take this to the next level, add some fresh sliced strawberries, drizzle some extra chocolate over top and you’ve got one gorgeous looking dessert. I will be sharing this at Fiesta Friday and Happy Independence Day everyone. 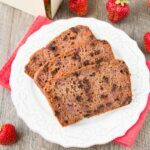 This is a delicious quick bread that is bursting with strawberry flavor and studded with chocolate chips. In a medium sauce pan, slightly mash the strawberries to release some of the juices. Stir in the 1/2 cup of sugar and bring to a simmer. Reduce the heat to medium. Constantly stirring, continue to cook until the strawberries soften. Mash again thoroughly and cook until the sauce thickens and reduces to about 1 & 1/4 to 1 & 1/2 cups. Let cool to room temperature. Preheat oven to 325F and grease a 9×5″ pan. In another bowl, mix together the eggs, strawberry preserve, oil, milk and vanilla. Slowly add to the dry ingredients and mix until just combined. I had some leftover strawberries that were starting to go bad, so I made this bread and the strawberry flavor is incredible! The bread is super moist too! Ohhhh my Lily, it’s been such a long time since I last commented around here! I come once in a while to check again the browning pudding recipe… it is simply my favourite! 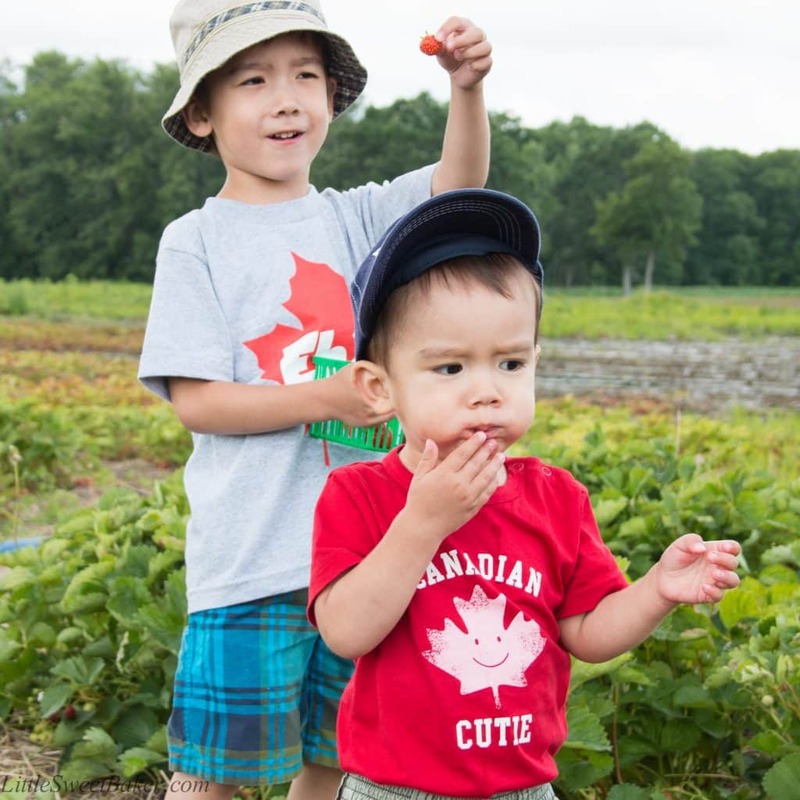 Some of my absolute favorite pictures are of my kids strawberry picking- with juice dripping down their faces. 🙂 Love seeing your kids doing the same! Your bread looks AMAZING! I’ll have to make it with our fresh berries next season. 🙂 Yum! This bread looks so yummy! Strawberries and chocalate chips, love it. The cake and your pictures had my mouth watering. 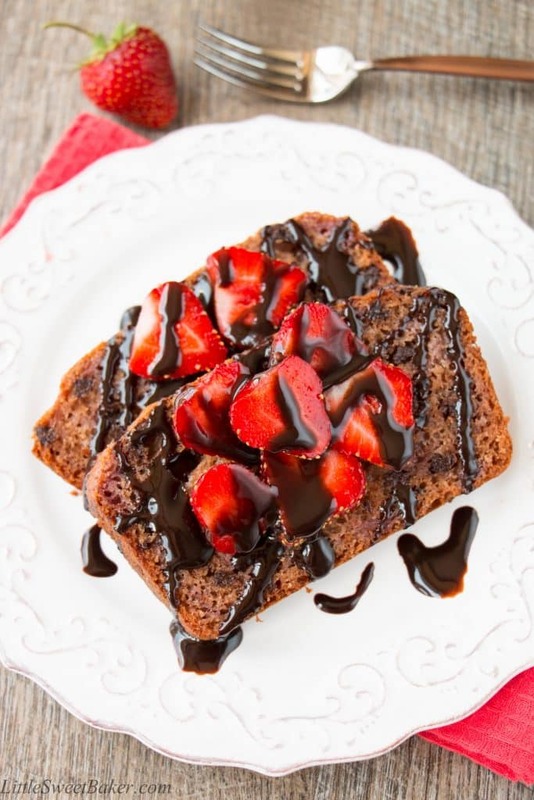 This bread looks amazing Lily, loved how you swapped bananas for strawberries! I’ve always wanted to go strawberry picking, looks so much fun! I know eh? My boys are going to be 5 and 2 years old this fall. They are so sweet and innocent at this age. I wish they could stay that way forever. Lily, your children are absolutely adorable. It’s such a smart idea to use up strawberries that are going down south quickly. Plus, chocolate and strawberries are such a classic combination. So clever! This bread looks amazing Lily! Especially slathered with chocolate sauce. I loved the pictures of the boys picking berries. That is a wonderful family activity. I just love strawberries this year and can’t get enough of them. Have a wonderful weekend and Happy FF! Thanks Julie and Happy FF to you too! Hi Lily! I like the look of the finished bread. Looks like it has lots of strawberry flavor, and like how you added chocolate and fresh strawberries on top! Happy Belated Canada Day! Have a great day.